Happy New Year everyone :). Welcome 2010... I hope to keep one resolution this year and that is, to regularly update my blog/s. Now, this will be a brief blog but it’s something that I can’t contain any longer. Finally, M and I managed to watch the movie that has created quite a rage in India and if the current place we live in is to be considered- America as well (I’m sure my fellow Indians living all across the world are also quiet enamored by it). 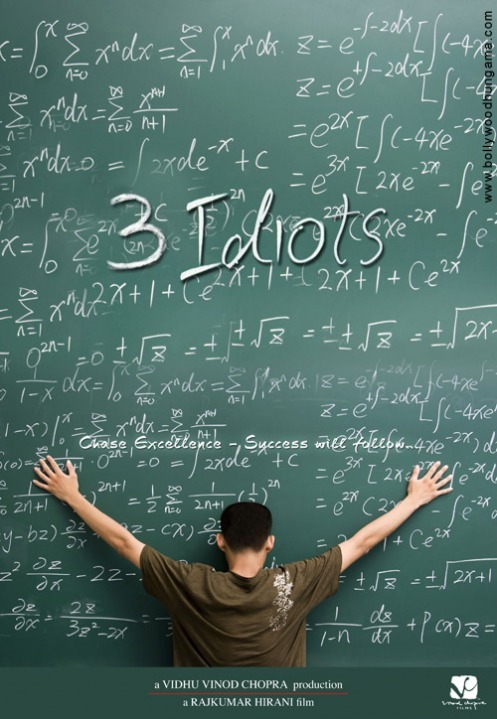 I’m talking about the movie 3 Idiots. Well, I heard about this movie from M only and he was the one who was more excited to watch this movie more than me, maybe because he also read the book by Chetan Bhagat (“Five point someone” from which the movie screenplay was adapted). Anyway, from the past 2 weeks I have been hearing great reviews about the movie from almost every (Indian) one I knew. Ofcourse having Aamir Khan (the “thinking” actor of Bollywood industry) as the main lead makes a lot of difference as well. But, after watching the movie today I can say that not just Aamir, but the way the movie has been written and crafted makes it a great crowd puller. a story about students with aspirations who want to make a difference in their lives by getting an Engineering degree from the prestigious college they are a part of. The problem is that they all are in tremendous pressure to show everyone that they deserve to be in that college and that they are indeed born as winners. Now out of the whole lot of new comers there is one who is different, Rancho aka Ranchoddass Shyamaldas Chanchad (Aamir). He never lives by the rules and is passionately in love with machines, but he does not like the way the (education system in his college/India) works. From here starts the exciting journey of Rancho and his two roomies Farhan Qureshi (Madhavan) and Raju Rastogi (Sharman Joshi) – the simple yet smart guys who were called “Idiots” just because they wanted to be known as educated person in real sense, not just because they had a degree to prove that they have graduated from an engineering college. 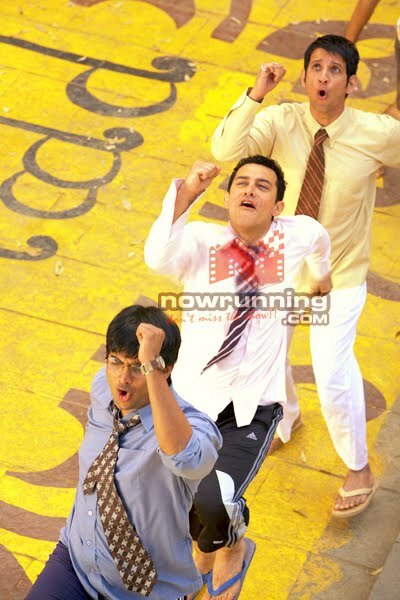 ~ Acting wise I’ll give it a 10 out of 10 as no one can be more convincing actor than Aamir and the way all other cast members Sharman Joshi, Madhavan, Boman Irani & Kareena Kapoor complimented his acting that made this movie a superb watch. 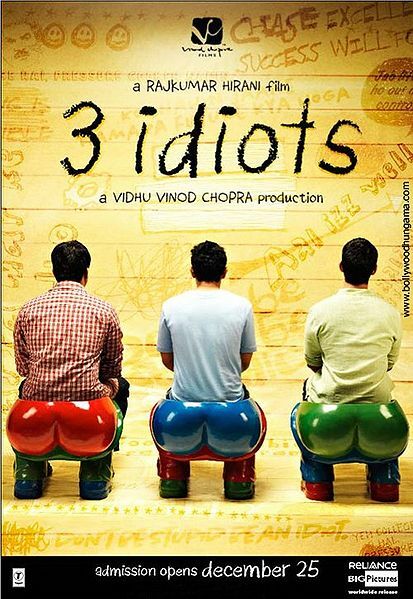 As for Rajkumar Hirani, he deserves this hat trick as a director (after the Munnabhai saga). < Marriage… is it a new beginning?? ?